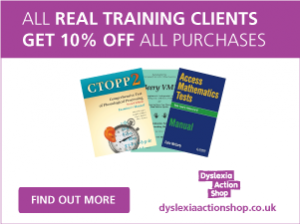 Learn how to lead and make difficult but effective interventions in dyslexia in your setting. Dyslexia – Leadership and Intervention – Skills & Knowledge will give you the lowdown on the latest thinking and interventions surrounding dyslexia. Broaden your professional practice to include the management of whole school interventions and staff who teach dyslexic individuals. Alternative dyslexia qualifications tend to focus on teaching individuals (e.g. British Dyslexia Association (BDA) accredited Approved Teacher Status and Practising Certificates). In contrast, these modules are concerned with leadership and interventions across the system – at an individual, group, school and school-cluster level. This qualification is designed for professionals who wish to lead in the area of dyslexia. As such, we have chosen not to seek BDA accreditation. Understand the interventions that should be in place in your setting to help manage dyslexia across the school. Be able to recruit and manage staff delivering dyslexia services confidently. Ensure value for money from support services by commissioning quality, targeted services. Provide accurate and confident guidance to parents, colleagues and managers. Know how and when to seek the advice of educational psychologists (EPs) and/or other specialists. Possess the skills to demonstrate and provide evidence of progress. Gain the knowledge to enable you to manage difficult situations effectively. Undertake a leadership role to support pupils with literacy difficulties/dyslexia in your setting. Evaluate best practice in the identification of dyslexia. Become familiar with typical and atypical development in relation to literacy acquisition, including theories of emergent literacy in preschool children. Get to grips with the Rose definition of dyslexia, including: core features; dyslexia as a continuum of difficulty; and co-occurring difficulties. Understand the link between self-esteem, motivation and reading failure. Evaluate interventions including the principles of effective instruction and programme design. Appreciate how contextual issues contribute to literacy learning/failure. Work with a learning coach, professional tutor and receive dedicated support from the tutor team – made up of experienced SENCOs/SEN consultants/EPs. Develop an approach to enable you to lead colleague consultations on the literacy development of a number of learners. Familiarise yourself with the current models and theories of literacy development and incorporate this knowledge in strategic consultations in your leadership role. Create a literacy consultation framework as a basis for your discussions with colleagues. Create a literacy profile to outline the skills that you have acquired and the next steps for each learner. Share this information with your colleagues and other delegates via unique discussion forum in Campus OnlineTM. Critically examine the information available in your setting that is intended to help your colleagues understand and identify literacy difficulties and dyslexia. Review the current theories, definitions and debates surrounding reading acquisition difficulties and dyslexia. Use this information to develop the existing information, or create new sources of information that take the needs of those with literacy difficulties and dyslexia into account. Develop your knowledge of what constitutes effective support for learners with literacy difficulties/dyslexia. Familiarise yourself with the features of effective literacy interventions in theory and practice. Put together an overview presentation that highlights the dyslexia-friendly practice in your setting. Build on your presentation by providing your colleagues with information on the best dyslexia-friendly practice and provision in your setting. Practice-based activities will support you in critiquing a literacy intervention currently used in your setting. 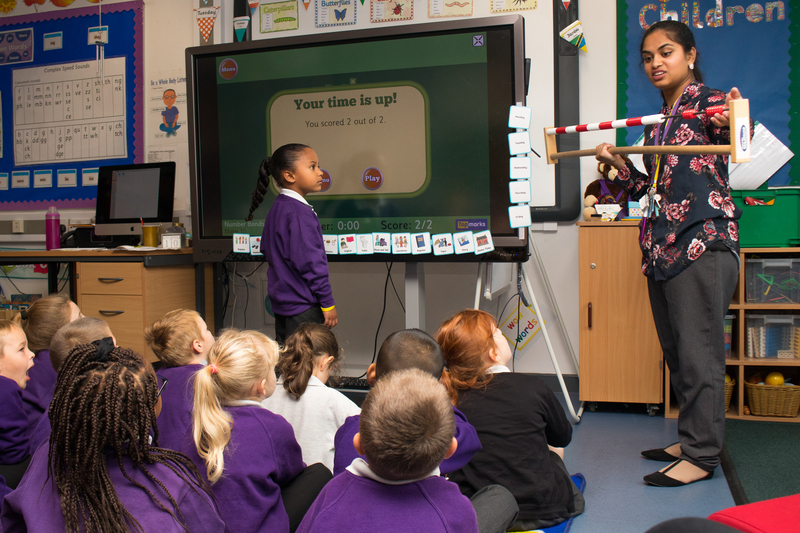 Become familiar with the features of effective literacy interventions in theory and in practice. Evaluate a literacy intervention currently in place, in light of the information that you have gathered about literacy development, literacy difficulties and effective intervention. A critique of the factors influencing typical acquisition of language and literacy (2,000 words or equivalent). A PowerPoint presentation (slides and notes – equivalent to 2,000 words) entitled: ‘What is dyslexia, how to create a dyslexia-friendly learning environment and give support to dyslexic learners’. A practice analysis of a selected literacy intervention, using a donated pro forma that highlights interrogation of the evidence base, programme design and instructional theory (2,000 words or the equivalent). Where indicated by your tutor, you may submit those multimedia resources that you have produced within your applied practice as part of your final portfolio of evidence.